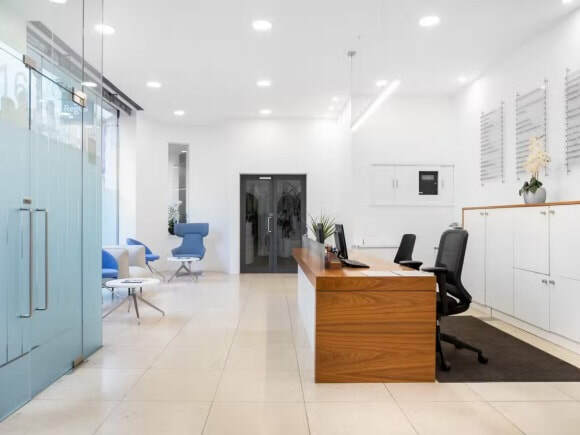 Upper Woburn Place is conveniently situated near both Euston and Kings Cross train stations in London. The business centre offers plenty of amenities which range from meeting and board rooms, communal kitchenettes and a professionally manned reception. With a number of services to help support a company, this office space for rent includes call answering in a company name, admin support and IT assistance. Within the building there is a broad variety of office sizes available all of which are ready for use fully operational in regards to internet and telephone. Suites are also inclusive of desks, chairs and storage drawer cabinets. With negotiable rental timeframes for occupancy, this Georgian serviced office is also air conditioned.